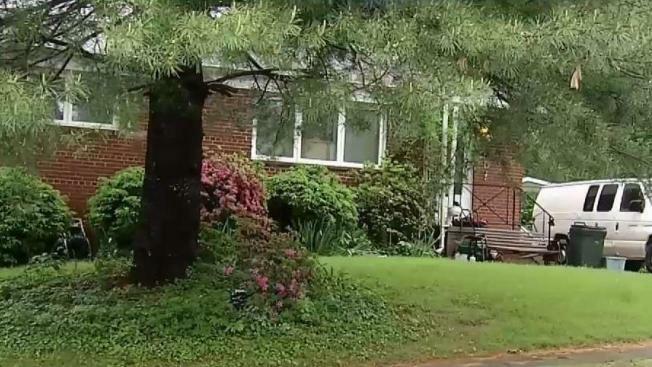 Six people are facing drug charges months after two men were found dead inside a Fairfax City home. One man was found on Jan. 19, 2017 in the basement of the home on Peterson Street. Four months later, on May 25, another man was found dead, also in the basement. The home's owner, 48-year-old Sean Tingen, called police in both incidents. A medical examiner's report revealed both victims died of an overdose and had morphine and fatal doses of fentanyl in their bodies. Fairfax City police launched a year-long investigation. With the help of Drug Enforcement Administration agents, they executed a search warrant at the home in April. Authorities seized white powder and white rock-like substances, digital scales, smoking devices, prescription pills, more than $3,000 in cash and naloxone, the opioid overdose reversal medication. Police issued arrest warrants for six people. Tingen faces felony charges for alleged distribution and possession of cocaine. Two tenants in the home -- Denise and Michael Hastings -- also face felony cocaine possession charges. They moved into the basement after the two men died there of overdoses. News4 spoke to the couple outside the home on Thursday. Michael Hastings said he expects to be cleared of the charges. He said he never saw the homeowner, Tingen, dealing drugs. "We didn't know of anybody selling drugs. He had company once in a while, not people in and out that we know of but, again, we were gone most of the day too," Hastings said. Neighbors, who declined to be interviewed on camera, told a different story. They said they noticed quite a bit of activity at the home. A fourth suspect, Walter Edward Hurst, Jr. is in custody in Loudoun County. Police said in September 2017 he was found unconscious in a car in a shopping center parking lot after suffering a non-fatal overdose. Investigators said they found 21 grams of cocaine and a drug distribution kit in the vehicle and were able to tie Hurst to the Peterson Street home. Fairfax City police are still searching for two others -- 42-year-old Francis Anthony Herrmann and 47-year-old Heather Morgan Canty. Police created wanted posters in hopes of tracking them down.